If you have deep lines and wrinkles that stretch from the corners of your nose to your mouth, you could be a good candidate for JUVÉDERM Vollure treatments at Renew MD in Reno, Nevada. JUVÉDERM Vollure is an FDA-approved dermal filler that uses a hyaluronic acid gel to gently yet effectively fill in deep nasolabial folds and other wrinkles around the mouth and jawline. JUVÉDERM Vollure was specifically developed to treat these wrinkles and folds without detracting from the mouth’s natural movements. The hyaluronic acid gel works to provide a temporary lift, while also encouraging long-term collagen production. 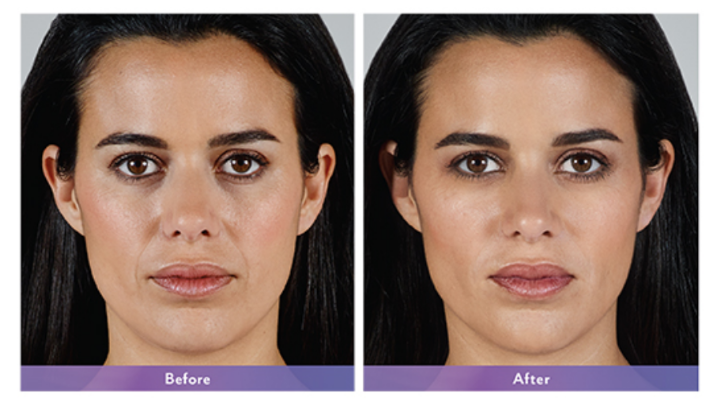 You’re a good candidate for JUVÉDERM Vollure if you have deep folds and wrinkles around the nose and mouth. You could also see great results from JUVÉDERM Vollure injections if you have marionette lines, which are wrinkles that stretch from your mouth to the lower jawline. A typical JUVÉDERM Vollure injection usually takes about 20 to 30 minutes to administer. It’s a quick and straightforward treatment that many patients opt to get during their lunch breaks or between activities. You should start seeing results from your JUVÉDERM Vollure injection immediately after your treatment. These results will last anywhere from six to nine months. There’s no downtime associated with JUVÉDERM Vollure injections, although you should expect to see some redness, minor swelling, and bruising at the injection site. These side effects usually go away within two to three days of the procedure. Interested in learning more about JUVÉDERM Vollure? Schedule your consultation by filling out the form on this page or by contacting Renew MD in Reno, NV today at 775-852-4500.